Rear view cameras are growing in popularity more and more each year. They have become more affordable, and many people are making the investment. There are several reasons why rear view cameras. They’re great for parallel parking and changing lanes. They also work wonders for when you have to hook up a trailer. The biggest reason is that they help prevent injuries and deaths because of a vehicle’s blind spots. Especially in densely populated areas such as New Jersey or major cities. One of the leading causes of backup injuries and deaths is a vehicle’s blind zone. A blind zone can extend as far as 50 feet directly behind the car, which means that it isn’t difficult to miss seeing someone until it is too late. Larger vehicles such as SUVs have a larger blind zone than smaller vehicles, which increases the death toll as a person hit by a large van or SUV is naturally more likely to sustain serious injuries than an individual hit by a small car. Recently there was a successful push for the government to pass a law mandating rear view cameras for vehicles built after May of 2018. This doesn’t mean you should wait to purchase one. There are plenty of great rear view cameras to choose from, making it easy for you to pick the one that would best suit your needs and budget. Investing in one will not only make driving easier, but also safer both for you and those around you. 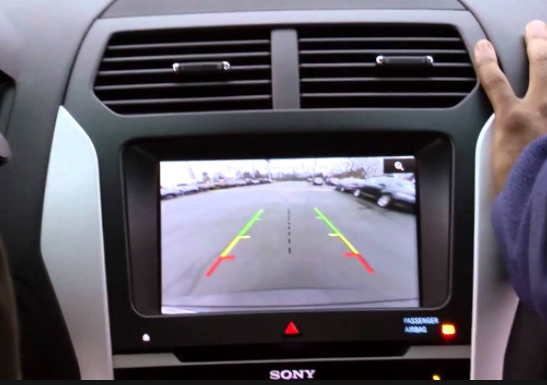 Looking for Rear View Cameras in the Central New Jersey Area?